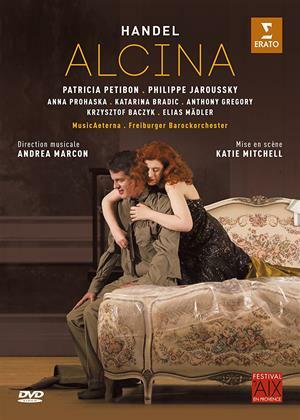 Patricia Petibon, Philippe Jaroussky, Anna Prohaska et al. Andrea Marcon conducts the Freiburger Barockorchester in this performance of Handel's opera at the Aix-en-Provence Festival in 2015. Soprano Patricia Petibon performs the role of the eponymous sorceress with Philippe Jaroussky as the warrior Ruggiero and Katarina Bradic as Bradamante.